A few years ago, I wrote a very short story called Aha! (You Are a Cheating Spouse). In it, a cheating husband gets caught when his wife employs a “toy” headset to detect the P300 response in his brain to a photo of the woman with whom he was having an affair. His involuntary brain response proved that he knew the woman. The story is fictional, but the P300 response is real. It’s your brain’s response to certain stimuli, and it’s automatic. Researchers use P300 to allow “locked in” patients — who have lost control of their bodies — to use a brain-computer interface (BCI) to type. For example, patients watch a scrolling list of letters and numbers, and when they see the one they want, their brain has an “aha!” response that the BCI detects, and thus the BCI selects the right letter for the person. Today, BCIs are pretty dorky; they have more wires than you can count, and require grease on your head to ensure a good signal. Emotiv and NeuroSky are cooler consumer-oriented devices, but they don’t seem to work as well as the dorky options. Still, BCIs are just sensors for you brain, and as I’ve previously written, sensors are going to proliferate everywhere. In the early days of personal computers, many people wondered what anyone could possibly do with a computer at home. You might be wondering the same thing right now about putting a BCI on your head. To really simplify matters, to be effective a BCI needs to be able to notice a change in your brain’s activity. It doesn’t have to read your mind. It can ignore 99.9999 percent of what happens in your brain, as long as it accurately reacts to a few key changes. Let’s start with a few possible applications, which represent a tiny portion of the entrepreneurial opportunities. Congratulations. You just corrected a typo with your thoughts. The tactic of error detection has some interesting possibilities. Imagine that football teams put sensors inside players’ helmets that record each “oops” moment and synchronizes it to video footage of the game. An athlete and his coach could then review the “high” lights of these events, rather than a tedious replay of the whole game. 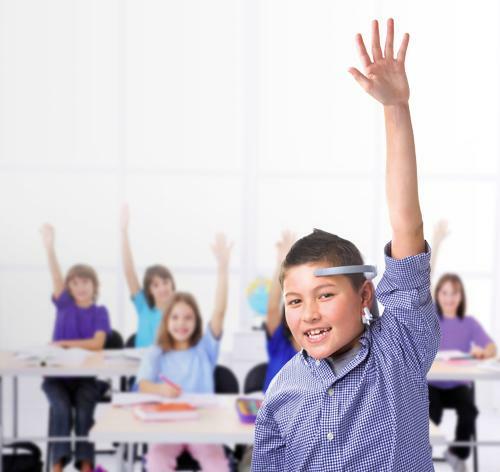 A person wearing a BCI could use his or her brain to select the right answer from several possible choices. This would be especially useful in situations when it is difficult to use your hands, such as driving your car. “Would you prefer the heat to be higher, lower, or off? “Do you want to call your wife at work or on her cell? A BCI is the only device I can name with the potential to offer total privacy to its user. You could sit across from a person at a table, answer questions from your BCI like I just described, and the other person might have no idea. You could remain motionless and silent, but your instructions could put actions in motion far outside the room in which you are sitting. With (a little) practice, you could learn to activate your BCI at will. If you are having coffee with a good friend who is going on and on, you could cancel your next appointment without interrupting your friend, or even revealing that any such conflict exists. As BCIs become more integrated with existing databases and technologies, you will enjoy a growing ability to access information without others being aware that you are doing so. Huge amounts of capital are pouring into online learning, and this creates an opportunity to do things at home (wear a BCI) that students probably wouldn’t do in a classroom. You don’t learn much when a lesson gets too easy or too difficult. Bored students start to daydream. Overwhelmed students get completely lost. But a BCI could indicate how engaged you are. Combine this type of feedback with any sort of individualized teaching approach, and you end up with better learning. When your attention wavers, an online course could try another approach. If the new approach doesn’t work, it would try another until you get back in the ideal zone. If this never happens, it could ask your parent, colleague or educator to intervene. Since 2008, I’ve managed a Brain-Computer Interface group on LinkedIn, and many of the top researchers in the world participate. But most are mainly focused on the science; few are interested in exploiting the commercial possibilities. This area is filled with entrepreneurial opportunities, and probably worthy of your attention.